Stella Dimoko Korkus.com: Actress Adaora Ukoh Says She Laboured For 20 Hours Before Birthing Her Son..
Actress Adaora Ukoh Says She Laboured For 20 Hours Before Birthing Her Son.. 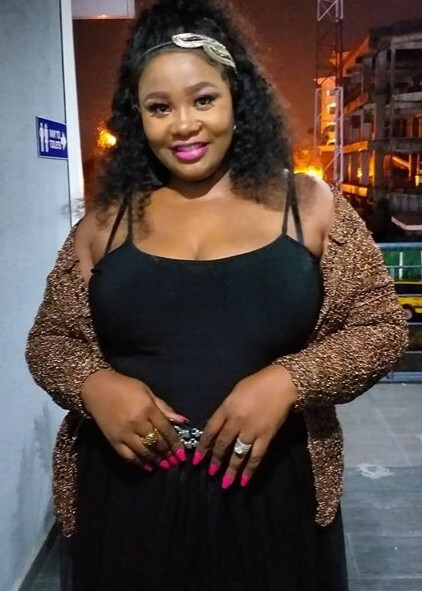 The plus-sized thespian, who a few months ago produced her third movie recently opened up to Inside Nollywood on her labour room experience and the challenges of motherhood she faces as an entertainer. Recalling her labour room experience while giving birth to her son, Ukoh revealed how she almost passed out in the process. “When it was time to give a push to my baby, my strength failed, as I had been in labour for 20 hours. I had low blood pressure and the doctors had to resort to oxygen. For me, labour room experience is quite unforgettable. I felt like a zombie for three days. However, when I saw my baby, the heart piercing pain disappeared. Well, that’s the joy of motherhood. It’s a life changing experience,” she stated. 😂😂😂😂😂. These were the kind of stories that made me opted for CS and no regret at all. After going for checkup when I was having false labour, the doctors fingers alone traumatised me, I just straight to my doctor to book for CS no time to check time, if his hand was that painful how will the baby's head be. Hmmn labour is not a joke though. Went into labour for 9 hours and i think i died and came back.The pain no be here but when i saw baby i ddnt remember my labour pains again. Me three days for my last daughters. Is there anything happeng in Stella obasanjo hospital? 3 whole days? My God. Thank God mother and Baby are fine. 20hrs?Lord have mercy on ur daughter (me)when its time,I know the kind of cramps I go through menstruating,when I go for antenatal and hear older mothers describing labour,I use to be weak and lost,I pray everyday for God to see me through..
Don't be scared, people's experience differs. My friend had her baby at home cos she didn't know she was in labour. She just had mild pain in her knee while cooking. She went to her neighbour who is a midwife in teaching hospital to complain about her knee and she was like lie down lemme check behold see baby. No time for hospital, she quickly got her things and took delivery. She went for BCG the following day. That was her 1st and is 5+ now. Thank God for that Nurse. The 2nd one showed her shege. So experience differs. May yours be quick and easy. 20 hours? Wetin I dey find there now? When c.s never Finnish? Hubby won't even allow me go through dat pain sef. Nawaooh. My dear, it's better to go all natural. Not all the stages of labor are that painful. You recover quicker with an all natural, vaginal birth. Not just your organs, but your body as well. You can wrap your stomach after a natural birth, so you'll get your body back quicker.You can't do that with a CS. Provided you know how to push, you will never tear. Besides there are so many natural ways to alleviate the pain; aromatherapy, heat therapy, cold therapy, meditation, etc. Anon 14:22 story for tortoise. Who said you can't wrap your stomach immediately after CS? No let naija doctors dey deceive una. I am a mother myself. I am also a practicing gynecologist so I know the benefits of natural birth. Naija women are too quick to opt for CS when the truth is that there are so many benefits of natural birth over C-Section. There are so many risks babies face by been born via CS; including TTN, oxygen deprivation, flooded lungs and so on. Women who undergo incessant C-Sections also expose themselves to risks like placenta previa, placenta accreta, inflammation of the uterus, infections and what have you. You CAN have an all natural birth which will not be so painful with natural techniques to help cope with the pain. Apart from the well known breathing techniques, you can try hypnobirthing, which is a wonderful way of visualization and relaxation. What women also don't know is that the position you are in during childbirth could also contribute to the pain. Instead of lying on your back throughout, you could be using a birthing ball, taking a shower or even going for a walk. It's advised that during early labor, you stay active and do things that you normally do. In Naija, even if you are having back labor, the nurses will keep you on your back in the bed! When you could be trying other positions such as squatting, which is actually the best position for birth! Midwives are also supposed to teach women that your body and contractions should guide you in pushing. You should push as and when your body feels like it, not because the doctor is yelling at you to push. That way you can avoid unnecessary tearing and episiotomies. Unfortunately, they don't teach women all these in antenatal classes and that's why most women are so afraid of vaginal birth. Of course, if it's a matter of life and death, then an emergency C-Section is absolutely necessary. My point is that C-Section should be a thing of last resort. You should have one because you need to, not because you're afraid of pain or you're tired of being pregnant. @Swag Lafresh I am yet to experience women wrapping their stomachs immediately after CS. But it's very helpful to wrap immediately after vaginal birth. Apart from your stomach going back to size faster, it also aids in alleviating lower back pain and supports abdominal muscles. with all the rapping belle for years, yet Nigerian women belle swell like fifa futball...yimu. if you like tie from now till end time, if you dont exercise, get busy or reduce your food, obesity is at your door. You are a dr, but do other women wrap belle?? What about the negative medical implications? Anony 16:12... errrm I don't know the country where you practise because this your last comment sounds a tad laid back. Doctors in the US must not hear from you those assumptions on CS. Depending on your health status, belly adjustment procedures start after successful operations, and note the wound must heal first. What actually sustains the step is a cut off from carbohydrates, alcohol and carbonated drinks. "Before and after birth". For me I have 2 Fulani women from Yelwa and Dougirei - Yola come down South to "boil me" with local herbs and scented water for some weeks. 80% of the liquids are herbs boiled in pineapple squash or juice. I kukuma love pineapples. That's what Mumsie passed onto us. Her Hausa friends know better. Anno16:12...ur so right about natural birth..still prefer it any day.I've also noticed that Nigerian hospitals especial private ones now prefer cs deliveries, cos of the huge monetary benefits. They won't provide in-depth antenatal lecures and encourage women to have natural births. She's saying the truth...as a mother of 4kids via vaginal deliveries. I don't think she meant active labor..you can't spend that number of hours on active labor no matter how your body responds to pains.some people spent days during early labor cos that's the longest labour stage,they are advised to look for things to distract them..some opt for induction to facilitate strong contractions. Thanks so much Anon 19;51, you've said it all. Early labor lasts the longest-if you're a first time mom, it can last for days. That's why we encourage women in early labor to stay active and wait till their water breaks before coming to hospital. @Xhlrted P I am also a tad confused as to how and why you think my comments on C-Sections are assumptions. I am not saying that by default, women who chose C-Sections over Vaginal Birth have been victims of these. Indeed, many women have been through C-Sections-whether elective or emergency-successfully and recovered well. What I am saying is that a woman who undergoes C-Section is more likely to be exposed to these than one who chooses to go natural. I am also surprised that you are saying that doctors in the US will be averse to my remarks on the benefits of natural birth vis-a-vis C-section. Especially since statistics show that more and more women in the US are even choosing to have home births that are completely natural and hospital free. I am deducing from that comment that you delivered in the US. Here in England where I practice, doctors assist women in coming up with a Birth Plan around 33-34 weeks, where we educate women on the pros and cons of both births. Most doctors will encourage you to have a natural birth if the baby is healthy and your wellbeing is not at risk. Note that I said 'encourage', not 'force.' This is why apart from assisting women with their Birth Plans and providing classes, we also encourage women to do some research on their own. I'm sure a quick Google search on your part will validate all the facts I've mentioned above. Only 20 hours, she lucky be that na. I pray I will have money for IVF. I don't want to visit the labour room twice. I want to have all my kids once. God please help me. This one na orobo true true. But why she come dey explain everything concerning her marriage give internet eh? Na so e dey begin o. Very senseless comment. Many of you on this blog just enjoy talking out of point. This one's forte is yarning dust, maybe you are a newbie. We are even getting used to the disjointed meaningless comments. Orobo = plus size -same thing Stella yarn up there. I no insult anybody inugo? Me I can be called orobo/plus size too but with proper waist/hip ratio. Pretty lady. Thank God for safe delivery. I was in labor for 29 hours, that's from early labor to pushing stage. I specified in my Birth Plan that I didn't want any pain relief, medication or intervention so I did it all on my own. I pushed for an hour and the very next day, I was up on my feet. It was all worth it! I felt like superwoman; if I can go through 29 hours of labor without any pain relief or intervention and give birth to a big healthy baby, I can do anything. Thank God for your safe delivery. I disagree though. If you can get a pain reliever during labour, please do so and stop suffering for nothing. @Swag Lafresh I'm the same Anon who spoke up there about the natural ways to alleviate labor pain and responded about the benefits of vaginal birth over CS. Well, I didn't get any award LOL but being a doctor myself, I knew beforehand that vaginal birth has so many benefits over CS, including a speedier recovery time and less risks. Honestly, if you have had a healthy pregnancy and your baby is doing well, it is better to try and have a natural birth. C-Section is a major surgery and it shifts a lot of your organs. Like any other major surgery, that comes with a lot of risks. I mentioned some of the risks you avoid by going natural as compared to CS in my previous response (TTN, oxygen deprivation, lung fluids, and so on). Doctor liar liar that school did not pass through. What is liar liar? Are you still in kindergarten? Refute my arguments with facts and let us see who is lying, not with juvenile taunts. You just sound childish and uneducated, if you care to know. I'm sure you were clapping your hands as you were typing 'liar liar!' LOL grow up! Doctor you are very right. I am in the UK and I had my son through natural birth by 11:04pm, before 12:00am i was able to stand up to use the toilet. In the middle of the night I was already walking around the ward as I felt too tired of staying on a spot. Before labour my midwife and I already discussed the pain relief method and I told her I wouldnt mind using epidural but on the day of delivery i only used gas and air. 3 weeks after delivery I was already back to working. ehh dr replying her comments yimu. besides most people here are in Nigeria not the UK. i plan to have a home delivery, but i will leave those who need the CS to have CS. Worry or do sonething about the healthcare system and not only talking to the pregnant women. all those therapies you mentioned are non existent in Nigeria, use what we have and is application in Nigeria to discuss. Wow! It must have been a lot of pain. For all my kids, labour never lasted upto 6 hours from onset to delivery, and I was induced oh. I thank God cos labour pain is out of this world. For 20 hours? Adaora you are strong! Your Doctor needs no applause because there's an option of a CS Section.